I was also Adjunct Associate Professor at School of Computing, National University of Singapore (NUS) (2011-2013). Developping Formal Methods using Artificial Intelligence tools. Stochastic Models: Markov Chains, MDPs, DBNs, Rabin's Probabilistic Automata, Populations. Applications: Systems Biology, Multi-level systems, Security. Background: Automata and Verification, Distributed Systems, Games Theory. Hugo Bazille (2016-). Diagnostic and control of stochastic systems. 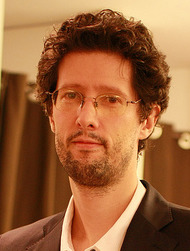 Matthieu Pichené (2014-2018). Multi-Level Analysis in Computational System Biology. Bruno Karelovic (2013-2017). Quantitative Analysis of Stochastic Systems: Priority Games and Populations of Markov Chains. Debmalya Biswas (2006-2009). Visibility in Hierarchical Systems. DBNizer and INFERNO (lead architect). FMAI'19 2sd international Workshop on Formal Methods and AI (organizer and PC member). 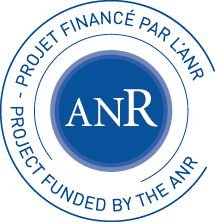 PEPS INSIS (CNRS) Projet AABS (Primary Investigator). Projet ActivDoc Funded by CREATE, Region Bretagne (WorkPackage Leader). Associated Team DST Funded by INRIA. Models of Concurrency (5h, Lecture, Master 2 in Rennes,2006-2007). Verification (4h, Lecture, 4th year in Warwick,2005). Programming in Java (42h, TP, DEUG 1,2003-2004). Hardware Architecture (36h, TD, IUP 1, 2003-2004).